In cinema, there are those who work and those who love to work. Feeling as if she has sincerely never worked a day in her life, accomplished Actress Adrienne Barbeau is one of the latter. Having a career that has spanned some forty years, Barbeau is easily recognizable for her keen sense of humor, beauty, and stength in her roles. Dating back to her early days on the hit sitcom Maude to her run of roles in success Horror/Sci-Fi classics such as 1980’s The Fog, 1981’s Escape from New York, 1982’s Swamp Thing, as well as 1982’s Creepshow, Barbeau is an actress who has built a strong following. Aspiring to take on challenges, all these years later, Barbeau continues to find creative inspiration not only in acting, but also as an author. Recently we caught up with the once Golden Global nominated Barbeau to talk her journey in film, her varied roles, her time as an author, and much more. 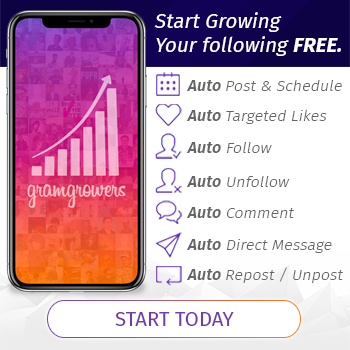 CrypticRock.com – You have been involved in acting professionally for over four decades now, with a long list of memorable roles in Horror and Sci-Fi films as well as television series. Tell us, what first inspired you to get involved in the industry? Adrienne Barbeau – Actually, I wasn’t inspired at all to get involved in the film industry. It was the early sixties and I thought L.A. was a ‘flesh market’. I’m sure I didn’t know what that was, but it didn’t sound good. I started out doing live theatre, musical comedy mostly, in high school and community theatre. My first paying job was singing and dancing for our military in Southeast Asia, the summer after graduating high school. Then I did one year of college and headed for New York to see if I could make the theatre my career. CrypticRock.com – Very interesting. Well, it lead to a very great career. Prior to your long run in feature films, you were a regular on the popular television series Maude. What was your time like working on this series? 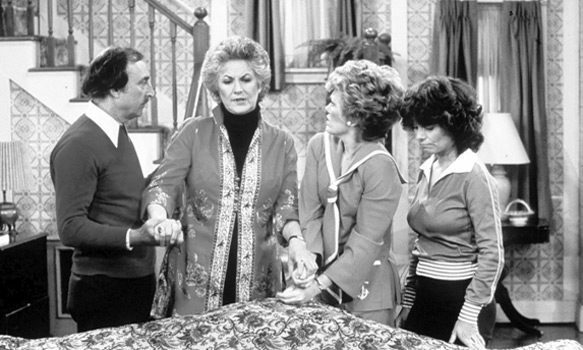 Adrienne Barbeau – Maude was absolutely the best job I could have asked for. I didn’t realize it at the time, since it was my first television experience and I had nothing to compare it to, but everything about it was ideal. The cast became my surrogate family. I was so proud to be part of something socially relevant and vital. It was a joy to go to work every day – for six years! 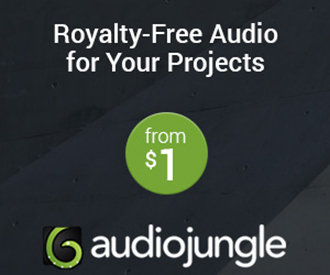 CrypticRock.com – That is great to hear. It certainly is one of the best sitcoms to come from that era. 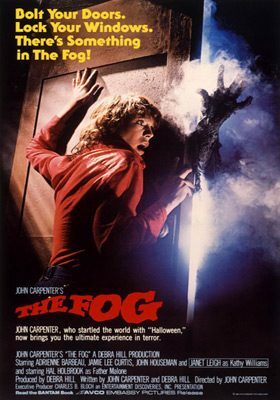 Of your many roles, perhaps the one most Horror fans associate you with is 1980’s The Fog. 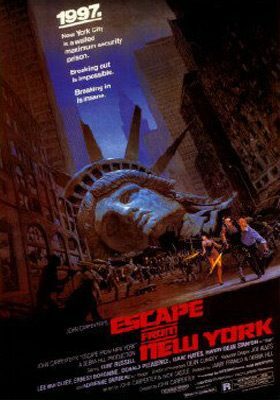 This film has since become a classic in the eyes of many fans. What was it like working on The Fog? Adrienne Barbeau – We had so much fun making The Fog, again, in part because we were one big family – cast and crew. Also, because we were in some of the most beautiful country in the states. I’ve always maintained that Inverness and the Point Reyes National Seashore were as integral to the success of the film as were any of the actors. You cannot be in those beautiful surroundings and not enjoy yourself. Plus we had John as a director. I couldn’t ask for anything more. CrypticRock.com – It is certainly one of those films that created a fantastic atmosphere. As stated, you have had a great deal of roles in Horror and Sci-Fi, of course The Fog, 1982’s Creepshow, 1981’s Escape from New York, 1982’s Swamp Thing, etc. Do you have an affection for the Horror and Sci-Fi genre? 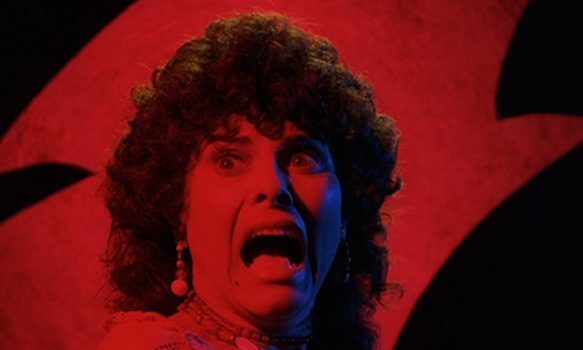 Adrienne Barbeau – I don’t have an affection for horror at all, and I’m not an avid Sci-Fi fan. I avoid Horror films completely. I don’t like to be scared, don’t like gratuitous blood and gore. I love acting in them – the good ones, the ones that are well written and sometimes witty, with characters you understand and/or identify with; the ones that are logical and believable (the ones that are few and far between lately) – but I don’t like watching them, at all. CrypticRock.com – Well, the genre is certainly not for everyone. You are right, there is a delicate balance between a quality Horror related film and one which is not. Too often than not, viewers associate an actor/actress with a certain role. That said, your roles have not been limited. You also have a wonderful talent for Comedy. How important to you is the ability to have varied roles? Adrienne Barbeau – I’ve never consciously sought out variety in the roles I choose. I just do what appeals to me, whether it be Comedy, Drama, Horror, Theatre, Musical Theatre. I just finished a year of touring with the musical comedy Pippin. I took the role because I loved the philosophy of the song my character sang and I loved singing it while I was suspended 15’ in the air, hanging upside down from a trapeze. CrypticRock.com – That is wonderful. Excelling in the roles you have played, the fact that you go for what appeals to you is extremely apparent. Beyond acting, you have also authored four bestselling books. Did you always have a love for writing? 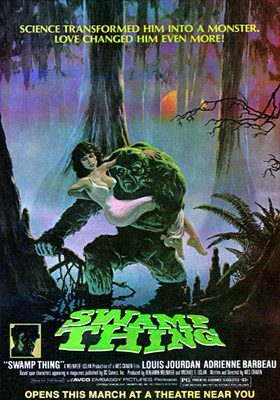 Adrienne Barbeau – Never in my life did I imagine I would have a second career as an author. My memoire, There Are Worse Things I Could Do (the title of the song I sang as Rizzo in the original Broadway production of Grease), came about completely unexpectedly. It sounds like one of my movies, but in 2002 I received a message from my closest friend who had died in 1998 telling me I was supposed to enroll in a writing class. Aside from my journals, I’d never written anything in my life. I enrolled in the class. 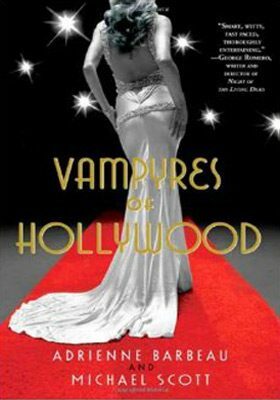 The class led to the memoire and the memoire led to a series of witty (I hope) vampire detective novels about a scream queen and her clan of A-list Hollywood actors – Orson Welles and Charlie Chaplin among them – who make up The Vampyres of Hollywood. The second novel in the series, Love Bites, has been optioned by B. Harrison Smith (2014’s Camp Dread, 2015’s Zombie Killers, and the upcoming Death House). We co-wrote the screenplay and hopefully will be in production later this year. CrypticRock.com – That will be exciting to look for later this year. It is quite inspiring to hear about your journey into writing. You also have a passion for music and have released a full-length album back in 1997. The songs are quite beautiful and emotional. Can we expect more music perhaps in the future? Adrienne Barbeau – Don’t plan on doing anymore singing anytime soon, but I never say never. Next up is a role I’m looking forward to doing in Jeepers Creepers 3. 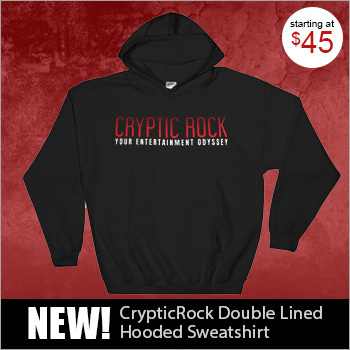 CrypticRock.com – Well that is great to hear you keep the door open, because you really do have a nice singing voice. It is also really exciting to hear more details come out in regards to the forthcoming Jeepers Creepers film. Seeing your diversity, what are some of your influences as an actress? Adrienne Barbeau – I honestly don’t know who/what my career influences were. I know I got my work ethic from my Armenian mother, grandmother, and aunts. I rarely saw movies as a kid, and not much television. I do remember Sophia Loren in Two Women (1960) and Joanne Woodward in Three Faces of Eve (1957). I spent my childhood reading books; never consciously studied performances. I did go through my European art film phase – still remember Patricia Gozzi in Sundays and Cybele (1962), and Rita Tushingham in The Leather Boys (1964) and The Girl with Green Eyes (1964) and A Taste of Honey (1961). Also, Anne Bancroft in The Pumpkin Eater (1964). CrypticRock.com – That is quite a nice mix of influences. As you said, you are not a fan of Horror and Sci-Fi films per say. If you had to choose, what are some of your favorites? 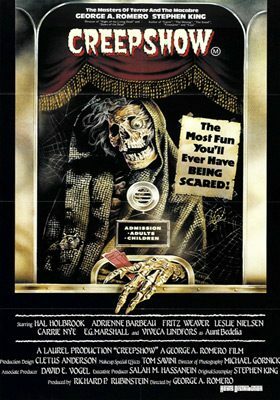 Adrienne Barbeau – If I had to choose my favorite Horror films, I guess it would have to be The Fog, Creepshow, and The Convent (2000), at least I’ve seen all three!